Last week The Girl Who Ignored Ghosts received some good reviews from Kirkus Reviews & Publishers Weekly. I got an amazing review from Readers’ Favorite too! I am incredibly lucky to have met some very talented and kind authors over the years. Three of them found the time in their hectic schedules to read and blurb my book. I am beyond thrilled to have such talented authors say such great things about my work. It means so much to me. Congrats to Sharron on Goodreads for winning the giveaway! The ARC is in the mail today to you. If you add my book to your to-read shelf on Goodreads, you’ll get updates about upcoming Goodreads giveaways for it. If you’re planning to order a copy of my book, please use Amazon’s preorder buttons. When you preorder the book, that sale goes through on the release day and my book’s Amazon ranking skyrockets. If my book has a enough preorders, it will become an Amazon Bestseller, which would be so so awesome! 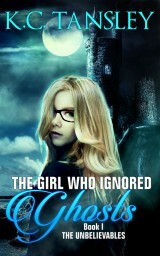 Right now, you can preorder the Kindle and the Paperback of The Girl Who Ignored Ghosts on Amazon. That way it’s also delivered to you on the publication date! 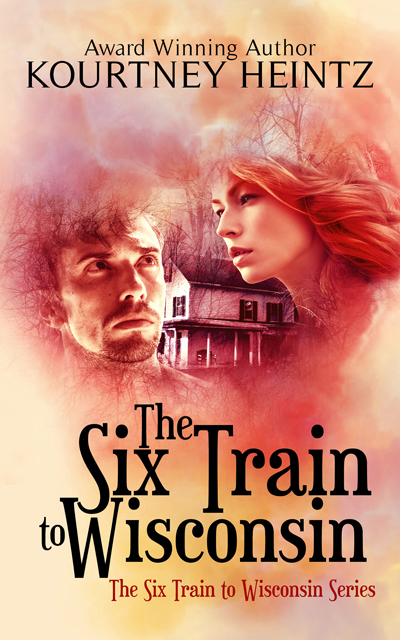 This entry was posted in Giveaways, marketing a book, Promotion and tagged Author Blurbs, giveaways, Kirkus Reviews, Preorders, Publishers Weekly Review, Readers Favorite 5 star review, the girl who ignored ghosts, Why preorders matter, YA time travel murder mystery. Bookmark the permalink. Thanks Sue! I always hold my breath when I open a link to a review. 🙂 These were pretty favorable so I could relax. Have a great day! Congratulations on these wonderful reviews! You’ve worked hard, Kourtney…well done! Thanks Jill! I’m hoping they help build momentum. Fingers and toes are crossed. What wonderful reviews and how great that they arrived before publication. It’s never too early to promote. All good stuff, Kourtney! I’ve noticed a couple reviews (or star ratings?) popping up on Goodreads, but I ignore them until I’ve read a book myself. I don’t like someone else’s view projecting a bias onto my own. Looking forward to sinking my teeth into my ARC! I love that you’re getting such good buzz before the book comes out! And thanks for telling us how Amazon handles the pre-orders. I didn’t realize they would all count on “opening day.” I must keep that in mind when waiting for new books! Thanks. It’s really really important to get these things way before the publication date. I had to request the blurbs a few months back. My publicist submitted the ARC to PW and Kirkus in March. Yes. It’s pretty cool that the actual purchase goes through that day. Preorders are really important because they are an author’s best chance at being an Amazon bestseller. And what a lovely buzz it is. I was excited before, and have pre-ordered but now, I can’t wait to read TGWIG 🙂 Those reviews are fantastic & well deserved. Can’t wait to read it! I didn’t know about the pre-order trick. Good to keep in mind. How wonderful! The reviews are just what an author needs – I’m very excited for you. Congrats!! 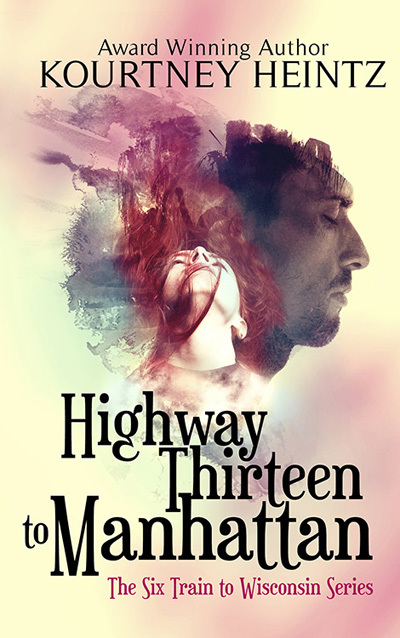 The excerpt of the readers reviews are awesome… And I really like the cover… I wish you best of luck and I am sure it is already a great success. Thanks so much Aquileana. It’s always hard to ask authors to read your book and write a blurb, but these authors were so generous with their time and their words. And they are all amazing authors too! Hope you have a beautiful weekend too! Thanks Christy. 🙂 I held my breath when I heard they were posted online. It’s always nerve wracking to read reviews. I get the same nervousness when I read what readers post on Goodreads. Congrats on all the attention! ““Castles, curses, ghosts, and vivid characters” sounds just perfect to me!